A Unique Online and Offline event coming to a computer screen or a city near you! Attend our Infosession on July 16th, at 11:00am or 3:00pm EST to learn the platform and get more information. In up to five communities, youth will design a day of social media, webinars, livestreams and community activities to kick-off this year's conference. Community partners will bring together groups of young people to discuss issues and share best practices from a youth perspective. Youth organizations outside the target communities can join in the conference through the online workshops and live stream events. This kick-off will set the stage for the professional development topics in the remaining three days of the conference. The professional development portion of the conference will consist of 6 webinars offered during the week of August 4-6, 2015 accessible only by conference registrants. We're providing youth development organizations an opportunity to be part of designing an event in your community that will feature live content from the conference as it happens. In addition, we will provide the tools and training to your local staff, youth and/or facilitators to lead a great conference community event. Community partners can host conference workshop “Watch and Engage Events” with community members, stakeholders or partners. They will receive a facilitators training if they register as a live host before July 22, a community partner facilitator’s guide and steps to make the conference topics connect to their local circumstances. Interested in volunteering? Email us at: youthconference@sisgigroup.org. Follow us on Facebook, LinkedIn or Twitter (@ideas4youth) #APYDCON to find out when you can register and for more information. Missed the 2014 Conference? No problem! You can still join this great professional development opportunity that leverages technology and social media to share and connect with youth development professionals, educators and young people working on youth issues around the country. Gain access to all workshop recordings, events and ongoing networking with a 2015 Recording Pass. 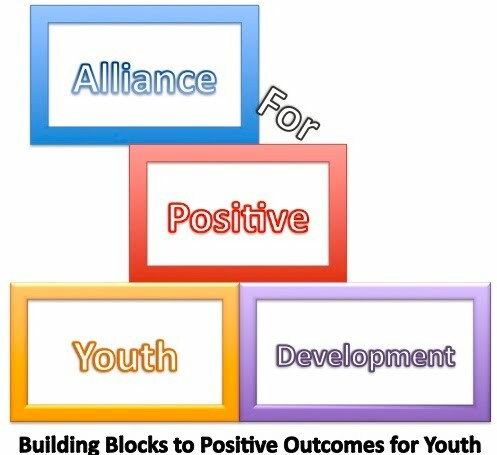 The Alliance for Positive Youth Development provides valuable training and professional development for youth development professionals in an effort to improve and increase the positive outcomes on issues impacting young people. The Best Practices Conference promotes innovative and dynamic ideas from around the country on the future of youth development, engagement and leadership including the role of technology and its impact, and strategic approaches to the most pressing issues facing young people.